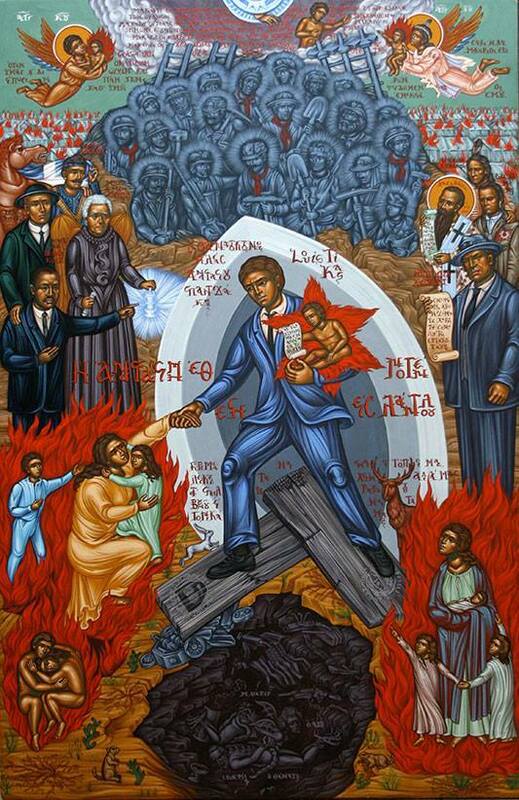 A Depiction of Louis Tikas and Mother Jones. 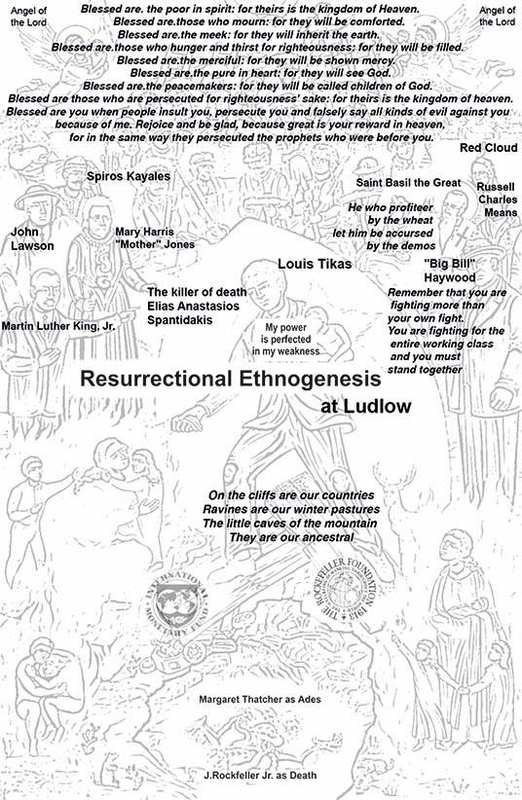 “Resurrectional Ethnogenesis at Ludlo” by Giannis Gigas Thomas. Graphic explaining Louis Tikas icon. Palikari – Louis Tikas and the Ludlow Massacre!